If you create Leads or Contacts in Salesforce in bulk, your team will see those records right away in the Mixmax sidebar in Gmail. If you’re using Salesforce rules, i.e., to send a sequence to new Leads who sign up for a webinar, your rule will run and the sequence will send as soon as the Lead is created. 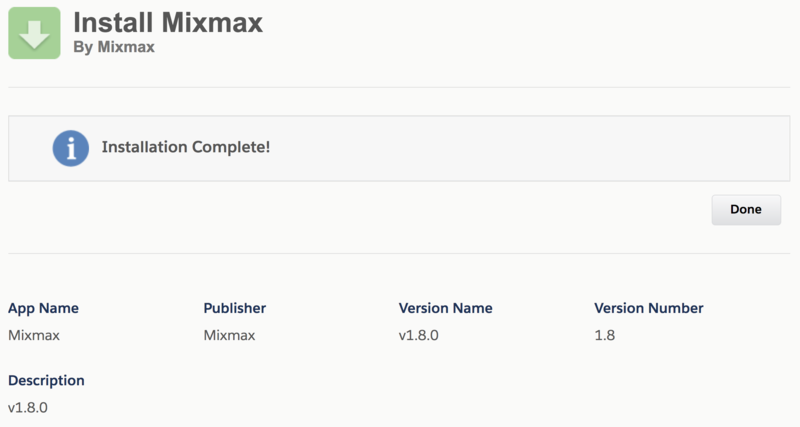 Tasks created in Salesforce will appear in Mixmax in near real time. You and your team will need the Mixmax Enterprise or Growth plan. Interested in one of these plans? Contact sales. Select a designated Salesforce Super User. Your Salesforce plan must support Force.com Apex. This is available on Salesforce Enterprise Edition. Go to the Accounts & Billing Integrations page and click the link for Official Mixmax Package. You’ll see a page that looks like this. Choose Install for All Users, and click Install. Approve Third-Party Access. 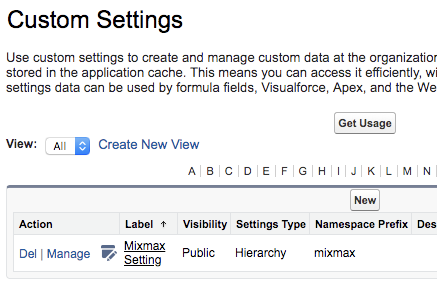 This allows Salesforce to send data directly to Mixmax. Click Done and you will be brought to the Installed Packages page. 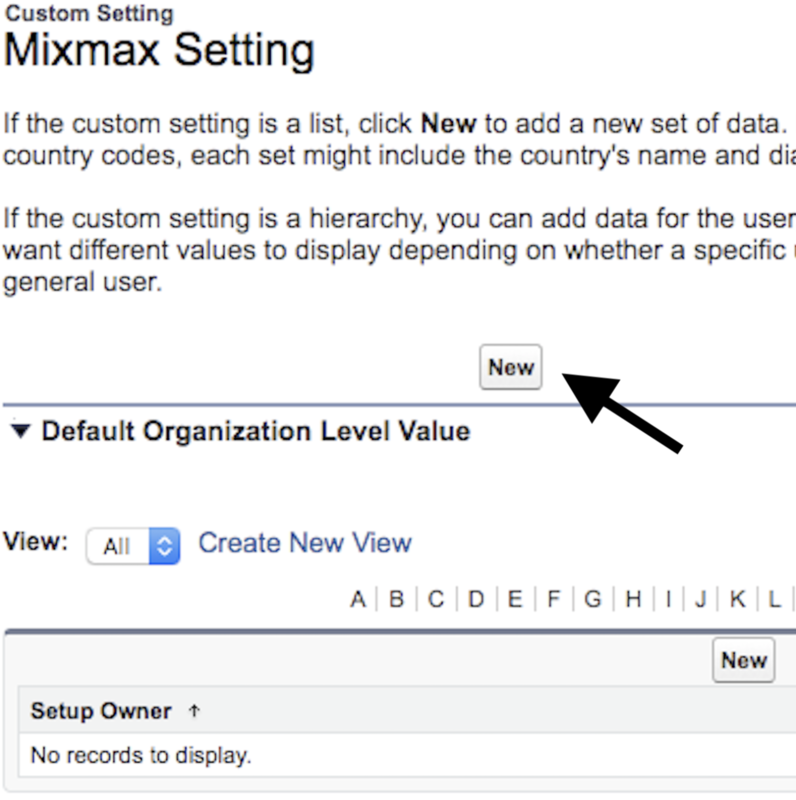 After that, you need to update the Mixmax Custom Setting in Salesforce with your Mixmax Organzation API Token. Go to your Account & Billing page, and click Integrations. 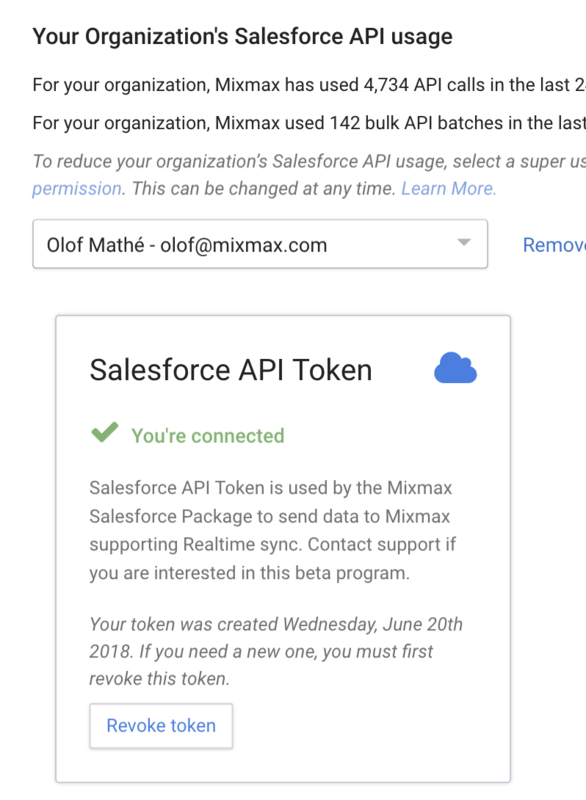 Once you select your Salesforce superuser, you will see your Mixmax Token. Copy this token onto your clipboard and go back to Salesforce. 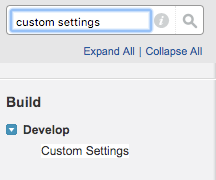 In Settings, search for Custom Settings. Click Manage next to Mixmax Setting. 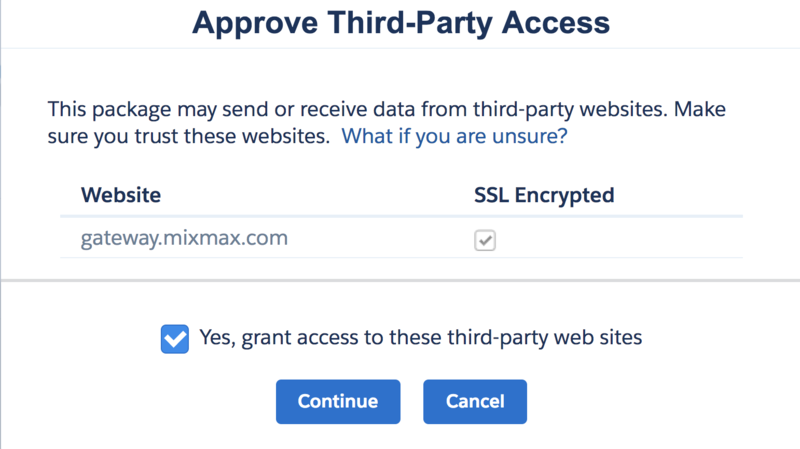 Paste the token into the field Mixmax Token and click Save. You should see the token saved. As long as you continue to have a Salesforce Super User and this token set, Salesforce Realtime will be working. No more setup required! There are two ways to disable realtime syncing. 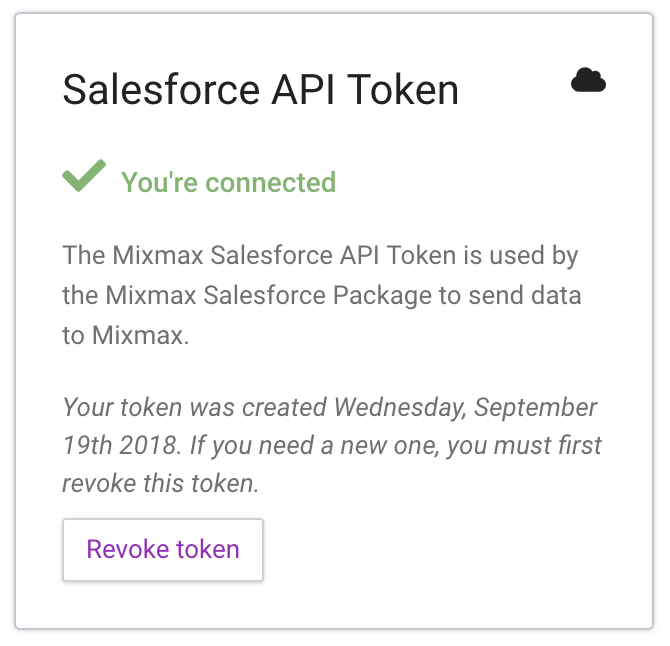 You can revoke your API token in Mixmax Accounts & Billing Integrations Page. 2. 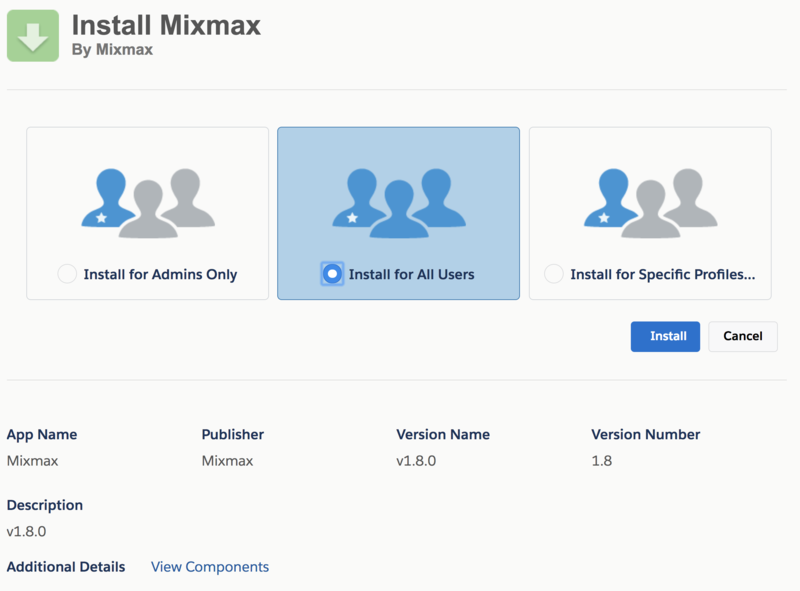 Uninstall the Mixmax package directly from Salesforce. Info on how to do that here.